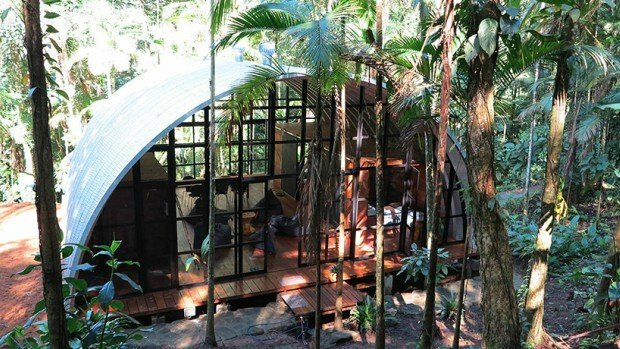 A semi circle hut in the middle of the Brazilian Atlantic Forest is truly an eye catching spot to rest after a long day of exploring. ARCA (“Ark”), as it’s called by the locals, is a remarkable project by architect Marko Brajovic, that was a prefab experiment that only took one week to assemble on site. ARCA was named by the locals as it came as a ship in the middle of the Brazilian Atlantic Forest. 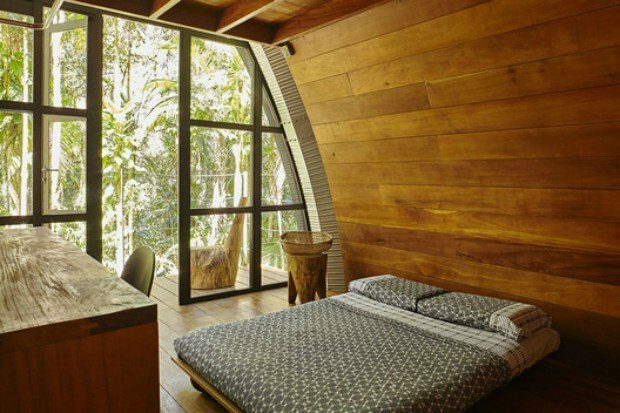 If fact, on a more anecdotic level, it’s an earthship project, that comes from a wish to mimic a specific Brazilian indigenous house typology (Asurini, Médio Xingu) and be a stand alone object with minimal impact to the surrounding. 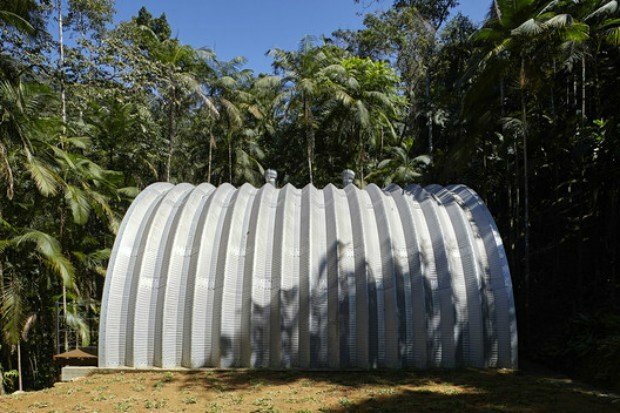 For that purpose we decided to use a shell self-supporting structure that solutions a roofing, side walls and finishings. A house can host till two couples with kids, has a fully equipped kitchen, bathroom and a generous open space serving as living room or workshops area for creative and professional trainings. 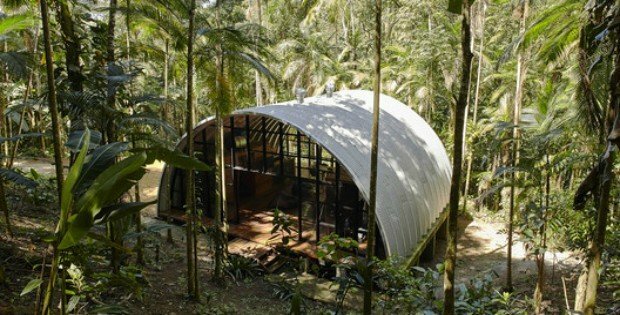 BriteSpace: Another Amazing Prefab House to Consider!